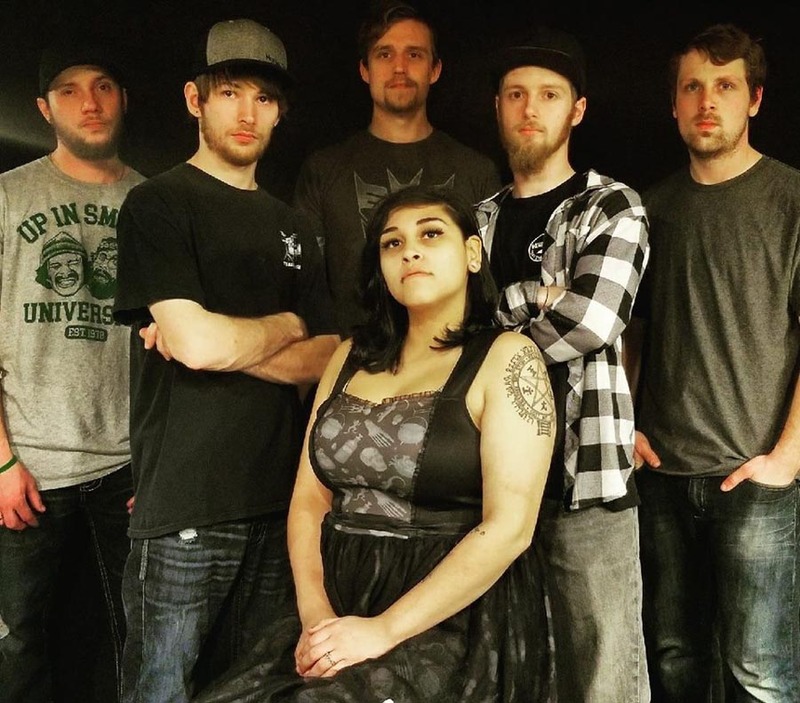 Set to record their debut album on TraumaSphere records, for expected release in the spring of 2019, is The Less Fortunate; a six piece band, bringing a mix of Metal, Metal Core, and Hard Rock influences to the table. The Less Fortunate features two vocalists, Corey Taunton (lead), and Blanca Molinero (clean), and instrumentalists Dalton Golden (guitar), Nolan Smith (guitar), Bill Cottrill (bass) and Logan Kelley (Percussion). The Less Fortunate is tearing the roof off venues in the four states area, touring from their home state of Missouri, to Oklahoma, Kansas, and Arkansas. The Less Fortunate will be on festival dates such as Marionville’s Bash in The Grass, from September 7th to 9th, and Kansas’ own Rocktoberfest, October 13th, in Chanute, Kansas. The band is working on the release of their single, “Inside The Mastermind” which is currently unrecorded, and can only be heard at one of these live performances. However, this single, with an accompanying music video also set for release, is a page turner for the band, marking a new musical direction from a change in the band’s lineup, and is sure to be a heavy hitter; that you can rock out to. I had a chance to catch up with The Less Fortunate, and get some insights on this up and comer, you don’t want to miss.